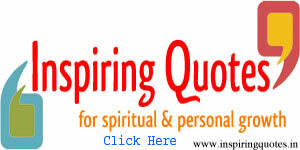 The word ‘Sikh‘ is derived from the Sanskrit word ‘shishya‘ which means a disciple, a learner, a seeker of truth. A Sikh believes in One God and the teachings of the Ten Gurus, embodied in the Eternal Shabad Guru, Sri Guru Granth Sahib ji. The Basic beliefs must be followed in Sikhism. Additionally, a Sikh must also partake Amrit, the Sikh Baptism. Every sikh is supposed to follow the Sikh Code of Discipline. ‘Takht‘ which literally means a throne or seat of authority is a result of historical growth of Sikhism. There are five Takhts and these Takhts are the five gurudwaras which have a very special significance for the Sikh community. 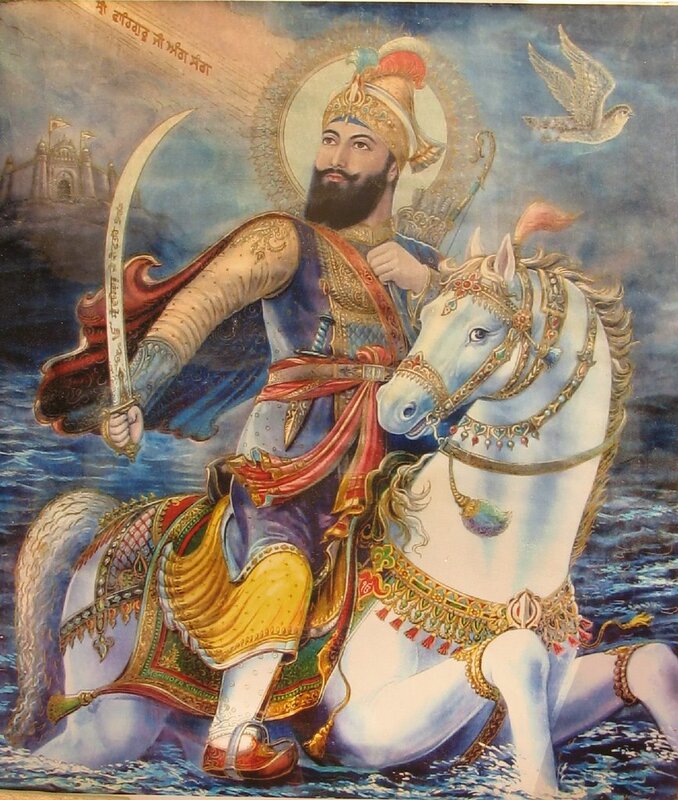 The first and the most important one was established by Guru Hargobind in 1609. It is called ‘Akal Takht’ (the Throne of the Timeless God) and is situated just opposite the gate of Harmandar Sahib – The Golden Temple, Amritsar. 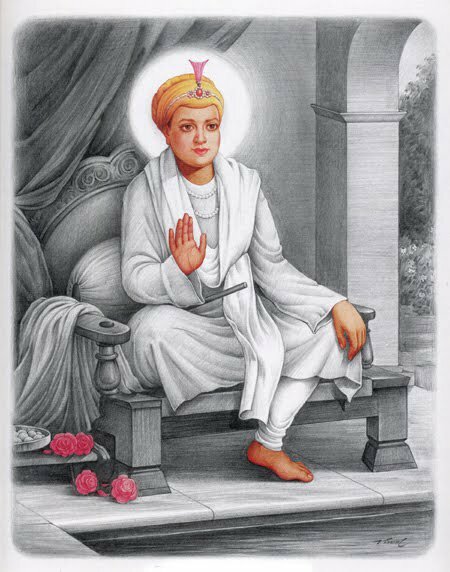 The Guru established it, because he thought that secular political matters should not be considered in the Golden Temple, which is meant purely for worship of God. Here the Guru held his court and decided matters of military strategy and political policy. Later on, the Sikh commonwealth (Sarbat Khalsa) took decisions here on matters of peace and war and settled disputes between the various Sikh groups. The Sarangi singers sung the ballads of the Sikh Gurus and warriors at this place and robes of honour (saropas) were awarded to persons who rendered distinguished services of the community of men in general. 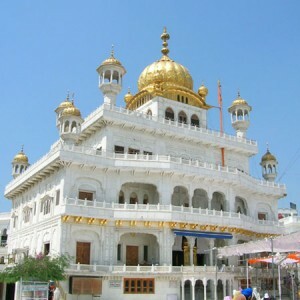 Shri Akal Takht Sahib : Akal Takht Sahib literally means Eternal Throne. It is also part of the Golden Temple complex in Amritsar. It’s foundation was laid by Guru Hargobind Sahib . 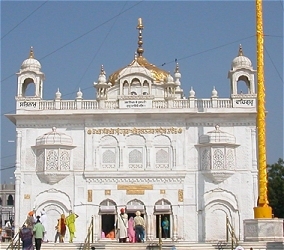 The Akal Takht is situated opposite to Harmandir Sahib and are connected by a passage. The building of the Akal Takht opposite the Golden Temple has a special meaning. While the Golden Temple stands for spiritual guidance the Akal Takht symbolizes the dispensing of justice and temporal activity. During the day the Guru Granth Sahib is kept in the Golden Temple, while at night it is kept in the Akal Takht Sahib. 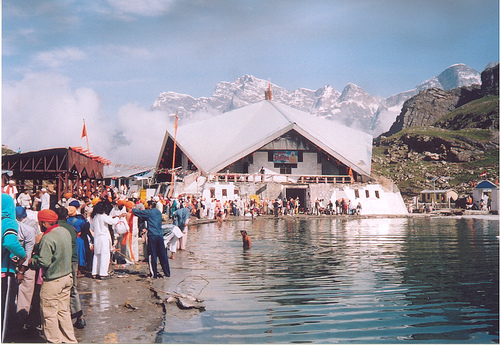 In earlier days all Sikh warriors sought blessings here before going to battle fields. During the 18th century while Sikhs were fighting a guerrilla war in the forests they used to gather at the Akal Takht on special occasions such as Baisakhi and Diwali. Here the community used to have general meetings and approve resolutions. 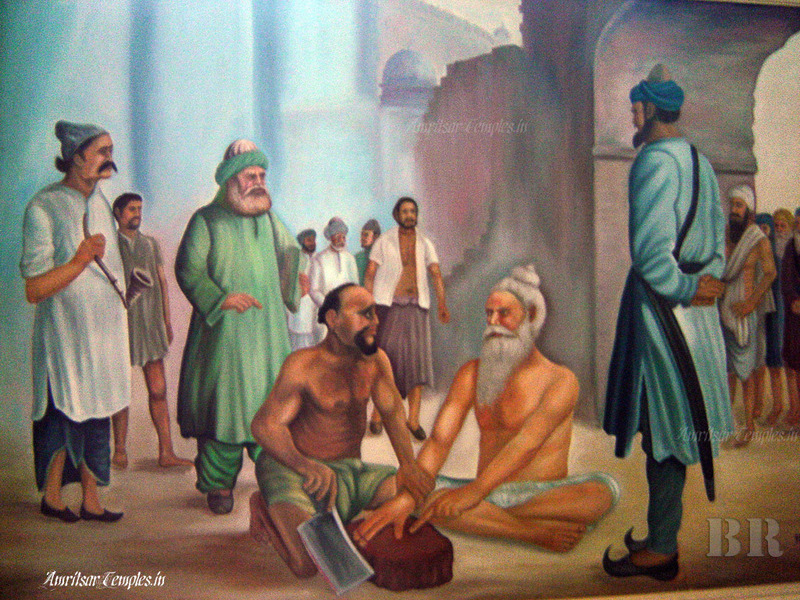 The Akal Takht is the oldest of the Five Takhts. 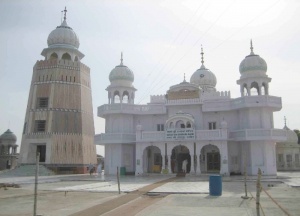 Takht Shri Damdama Sahib : Takht Sri Damdama Sahib (Talwandi Sabo) is situated in the village of Talwandi Sabo near Bhatinda. At this place Guru Gobind Singh stayed here for approximately a year and compiled the final edition of Guru Granth Sahib also known as the Damdama Sahib Bir in 1705. 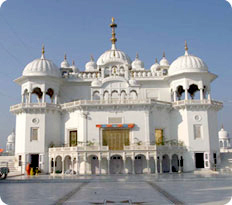 Takht Shri Keshgarh Sahib : Takht Sri Keshgarh Sahib is situated at Anandpur Sahib. 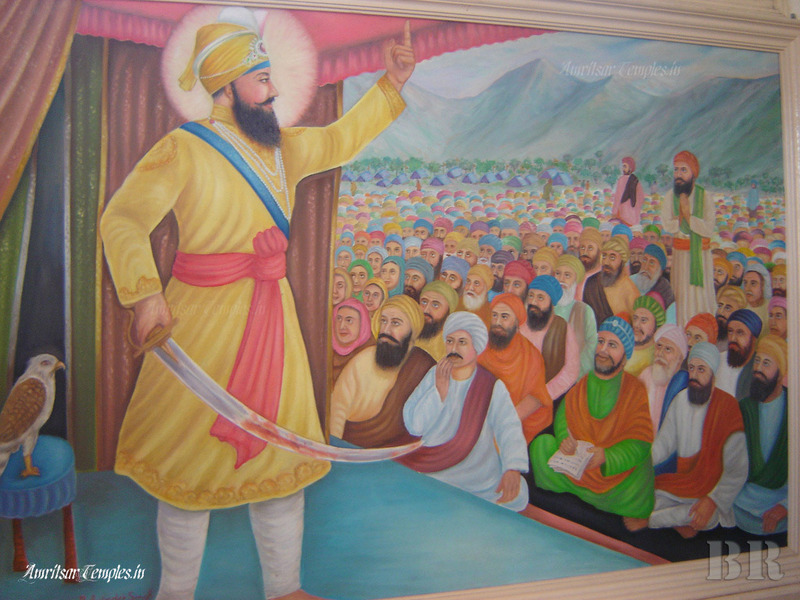 It is the birthplace of the Khalsa. 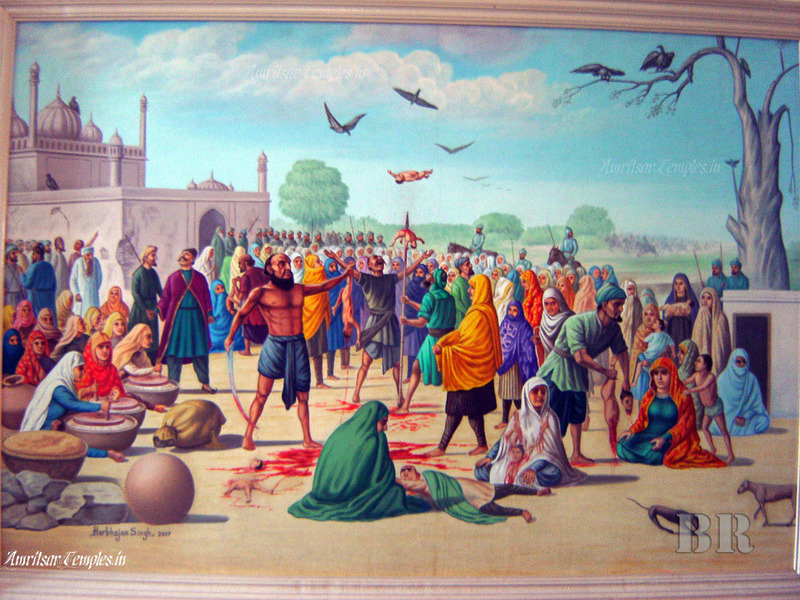 The order of the Khalsa was founded here by Guru Gobind Singh in 1699. Some of the weapons of Guru Gobind Singh are displayed here. 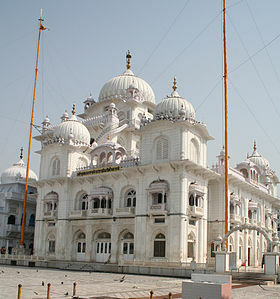 Takht Shri Hazur Sahib : Takht Sri Hazur Sahib is situated on the banks of Godavari river in Maharashtra state. This is the place where Guru Gobind Singh left for Heavenly abode. The inner room of the temple is called Angitha Sahib and is built over the place where Guru Gobind Singh was cremated in 1708. Takht Sri Patna Sahib : Takht Sri Patna Sahib (Takht Shri Harmandir Sahib Patna) is situated in Patna city which is also the capital of Bihar state. 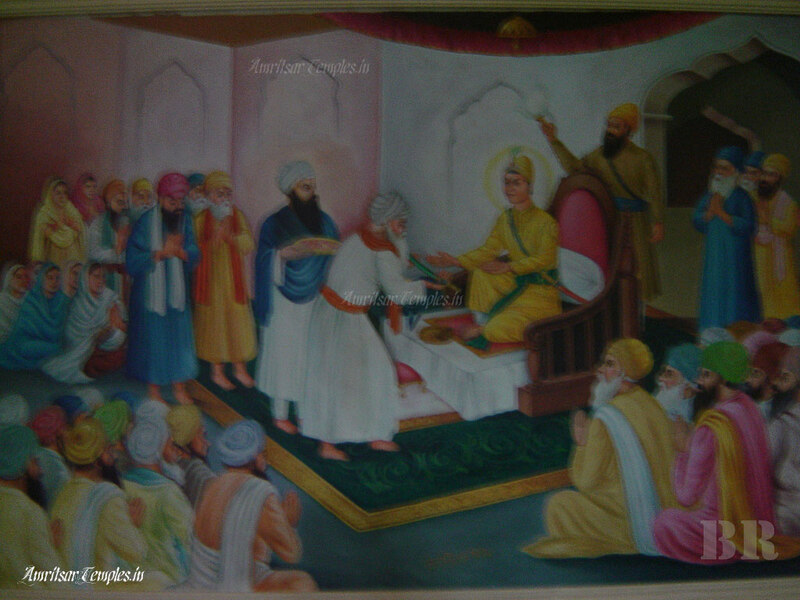 Guru Gobind Singh was born here in 1666 and he spent his early childhood here before moving to Anandpur Sahib. 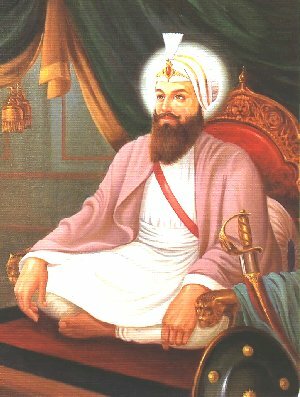 Besides being the birthplace of Guru Gobind Singh , Patna was also visited by Guru Nanak and Guru Tegh Bahadur at different points of time.